THE BASIC MUSLIM TAG | 15 Questions for Muslim Youtubers to do! The internet could seriously use a blogpost like this since I couldn’t find a proper tag for muslims to do. 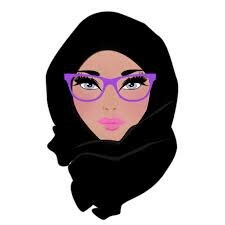 If you’re a muslim youtuber or even blogger, this would be a fun set of questions to answer to have your followers get to know more about you while being entertained, enjoy and feel free to add or change anything! #1 Favorite surah from the Quran? My answer: Either Mulk or Al Waqiah, they’re quiet short and I love reading them all the time or listening to their recitations by Mishary Al Afasy especially. #2 How many times have you had Pork by accident? My answer: Um… I would say like two or three times, but I feel like I’ve probably had it more than that but just didn’t know. One time I ate a spring roll thinking it was filled with veggies and then I was telling my friend it’s good and what did she put in it, and she was like, carrots, peas…pork….and then I just put it down while freaking out in my head haha. #3 In what language do you read your Quran? My answer: I read Quran in arabic, even though my reading is a bit slow, I also had a Quran in English but I didn’t like reading it in English because it just wasn’t the same and sometimes the translations would change the meanings of things and it was I don’t know, just not the same. #4 Would you want your wife/husband to wear a hijab or have a beard? My answer: Don’t really care, but he’d better not have a problem with my hijab or make me take it off or something. #5 Do you know your 5 Pillars? My answer: Yasss, shahada, prayer, fasting, charity and hajj! Woo. #6 Ever been mistaken to belong to another religion? My answer: Not really, but sometimes people don’t know what my religion is and have to ask even though I wear a hijab. #7 Are you more religious than your siblings? My answer: Sometimes it feels like it, other times not. #8 Ever been awkwardly caught doing abolution/wudhu in a public bathroom? My answer: Oh my God, yes. And it’s so embarrassing everytime, like you think it would get less embarrassing the more it happens, but nope- it’s just as embarrassing every single time lol. Especially when you’re not wearing your sneakers and socks and the person is just like wtf…. #9 Do you know the difference between SubhanAllah and MashAllah? My answer: Yes and it irritates me so much when people misuse it! #10 What age do you think is perfect to do Hajj? My answer: Hmm. Well I don’t want to do it when I’m really old and can barely walk, that’s for sure. Maybe 40 is the most I’d delay it to. #11 People’s reaction when you told them you don’t drink? My answer: It usually varies depending on whether the other person drinks a lot or not, but usually they don’t really care. My answer: Um, I feel like this is a bad question, maybe I should delete it lol? #13 Last time you went to the mosque? My answer: Like 2 months ago when I was in Oman and there was an actual mosque I could go to without being looked at like some sort of criminal lol. My answer: That awkward moment when every one of my dad’s brothers has a combined name of Mohammad-Something, like Mohammad-Saeed, Mohammad-Hassan and so on. Honestly too many to count lol. #15 Where’s your prayer matt at? Did you pick it or your parents? My answer: You know I’m not sure where my prayer matts are from, they’ve just always been in the house. I need to go buy one specifically for me. Lastly, can you say “JazakumAllahkhairan?” If so, then say JazakumAllahkhairan for watching this video/reading this post! ***All icons in the graphic were taken from thenounproject.com from Channanan, Ahmed Yosry, and Oliviu Stoian. → Would I buy the NIKE sports Hijab? ← Top 6 Reasons Muslim Girls Need to Visit Oman! Also I am a proud of u. If u want, plz contact me on my Email.